The family of Anne Melanson is very sad to announce her passing on November 29, at the age of 86. Born on Christmas Day 1931 in River Hebert, Nova Scotia, Anne was the daughter of the late William and Jane (Brine) Melanson. She was predeceased by her siblings Ralph, Mary, Fred, Leon and Bob, brothers and sisters-in-law Doris, Tom, Irene, Alice, Nora and Russell, and niece Myrna. She is survived by her siblings Allen (Toni) and Stella, as well as many nieces and nephews who will miss her dearly. 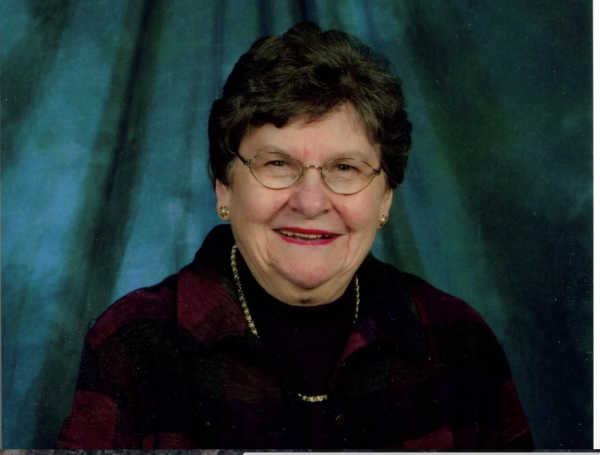 Anne lived in River Hebert and West Amherst until 1965, after which she and her beloved sister Mary began sharing a home in Amherst until Mary’s passing in 2007. The two sisters also shared a cottage at “the shore” in Lorneville, where friends and family were always welcome. Anne was a passionate lifelong reader, enjoyed music, and would eagerly play cards for hours at a time. Mostly though, she loved to be with family and friends, hearing about everyone’s lives, and reminiscing of days and loved ones gone by. Her recollection of names, places and dates amazed everyone! She especially loved the frequent visits from her cherished niece Gail. We will always be grateful to Gail and her husband Joey for their support of Anne over the years. Anne was a devoted Catholic with deep concern for those less fortunate than her. Anne was a member of the Holy Family Parish, where she was a Lay Eucharistic Minister and a proud choir and CWL member as well as a Sunday School teacher for many years. She served Friday Holy Communion at the Centennial Villa, where her visits were treasured by many residents. Her unending concern for others was exemplified by her membership in the Society of Saint Vincent de Paul. Anne was a passionate educator, teaching for 34 years. She initially taught in one-room school houses in Warren and West Amherst. She then went on to West Highlands School where she taught for 25 years. It was always with great pride Anne spoke of all her students, most notably some of her own siblings, nieces and nephews. Anne loved to travel. She journeyed to many destinations in Europe and North America, often with her best friend Isabel Jackson. Anne spoke often about those trips. However, no matter how far she went or for how long, she always loved coming home. She and Mary welcomed one and all to their home. Anne got the groceries (and did the dishes) and Mary turned them into home cooked treats made with love. Although Mary got the credit for the best fudge (and donuts) in the world, it was often Anne who stirred the mixture for hours to get it just right. Anne’s legacy will be her resilience, positivity, love of family and her deep faith. We have immense gratitude to the wonderful, and often funny, staff at the Springhill Memorial Hospital. A very special thank you to Dr. Andrea Faryniuk and the staff at the Cumberland Regional Healthcare Centre for their superb and compassionate care. Anne’s family would like to thank the many medical and homecare workers who cared for her this past year and a half. It was clear they thought of Anne as family. Their devotion made it possible for Anne to remain in her home as she wished. They are all saints doing God’s work on earth. To the dear caregivers: Muriel, Cheryl, Eleanor, Laura and Glenda, we will never forget the compassion and care you gave to our precious sister and aunt. Arrangements are under the care and guidance of Furlong~Jones Funeral Home, 70 Church Street, Amherst, NS (902-667-8777), where visitation will take place on Sunday, December 2, 2018 from 2 to 4 pm. Parish prayers will be held during visiting hours at 3:15 pm. A funeral liturgy of the word will be held at the Holy Family Parish Roman Catholic Church, Amherst on Monday, December 2, 2018 at 11 am, Deacon Howard Gotell officiating. Donations in memory of Anne can be made to St. Vincent de Paul (Holy Family Parish PO Box 1075 Amherst NS B4H 4E2) or the charity of your choice. Sharing of memories and condolences may be sent to the family by visiting Anne's online memorial at www.furlongjones.ca or through the Furlong Jones Funeral Home Facebook Page.